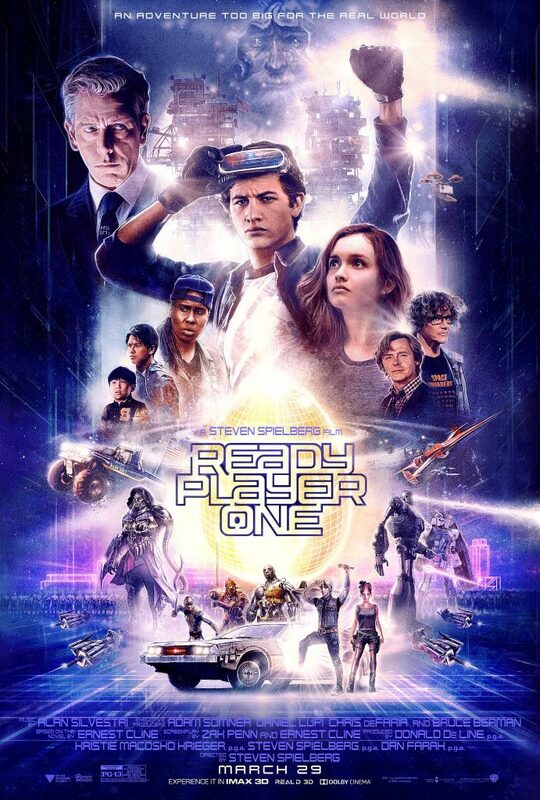 Ready Player One is one of my favourite books, provided to me by Geek Pride’s very own Ben Fee at the dawning of Geek Pride and something I honestly feel pushed me into embracing my Nerdom 100% instead of hiding it in the shadows. It is a nostalgia trip par excellence and a book that feels like it was written just for you. … in fact one of my first reviews for this very site (7 years ago!) was for Ready Player One (READ IT HERE), so finding out there was a film being made, and my one of the Gods of Nerd Film himself, Stephen Spielberg, very much interested me; if making me also somewhat apprehensive. Just an FYI, there will be spoilers for the book and the film therefore if you want to read or watch Ready Player One then best stop reading now. Right so first things first, if you are looking for a film that stays true to the book then you won’t get it sadly. This is very much a streamlined version with a lot of exposition taken out and changes made. There are slight nods, ‘Easter Eggs’ and references but it is it’s own beast and you will need to make your peace with that or else it will cause you conflict…. Game of Thrones book lovers, I’m looking at you. I’ll list out some of the changes for you below, though note it has been 6 or 7 years since I read the book so excuse me if it’s not comprehensive. A lot of the exposition is gone. Wades, real life and the real world, his school ( which is in the Oasis) , Wades learning about all things Halliday, how he makes money and the friendship between Morrow and Halliday. A lot of the movie references from the book are gone, especially Blade Runner which plays a big part. Rush and Joust, being part of the quests in the book are therefore gone from the film, slightly referenced at the end but not even a Rush song in the sound track. So, as you can see there is a lot of differences, to the point that the exterior shell, the main plot line and end goal are the same as the book but the arteries, organs, pathways and inner works of that plot line and end goal are very different indeed…. The Questions are, Why? And does it matter? Exposition wise I’d say that if you are trying to cram all of the book into one film you’d struggle and so getting rid of peripheral things is necessary; unless you were making a trilogy which I don’t think would have worked here. As for the lack of certain movie references, I feel this simply down to licensing; look how long it took Marvel to get Spider-Man from Sony and also I don’t think Spielberg wanted to have a self indulgent, “look at me” sort of film. And I’m sure there were so many more! Strong words indeed but I loved it, so much so that I found myself getting quite anxious towards the end and even somewhat emotional; which was strange. I’ve seen a lot of Nerdy Films but for some reason this one, like the Book, encapsulated what it is like to be a Geek, both positives and negatives, from friendship and connection to addiction and reality. It’s lesson that being a Geek is hard and awkward and some times you just want to hide from reality is encapsulated by Halliday and is a mirror on ourselves and how a lot of us feel. Add this to the underlying morals about: regret, seizing the moment, embracing real life from time to time and even Internet neutrality and you have something for everyone here. 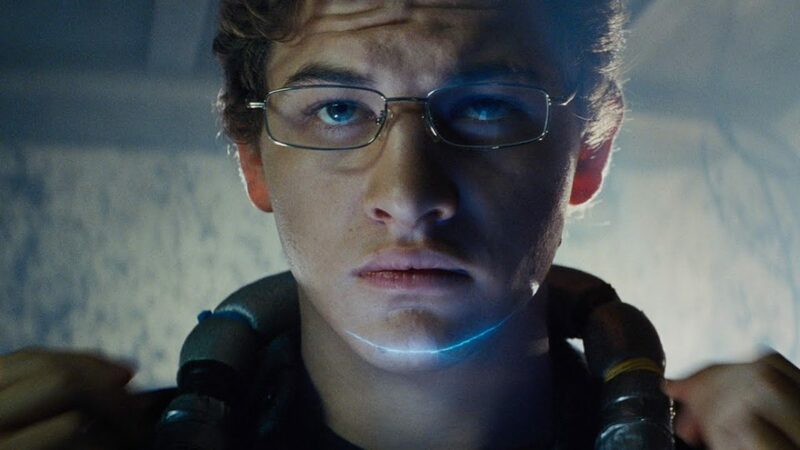 Book reader or not, Geek or Norm, Ready Player One, the Film, is not Elitist, it enfranchises, wows and carries you along on a story that a lot of us, in different ways, can relate to.